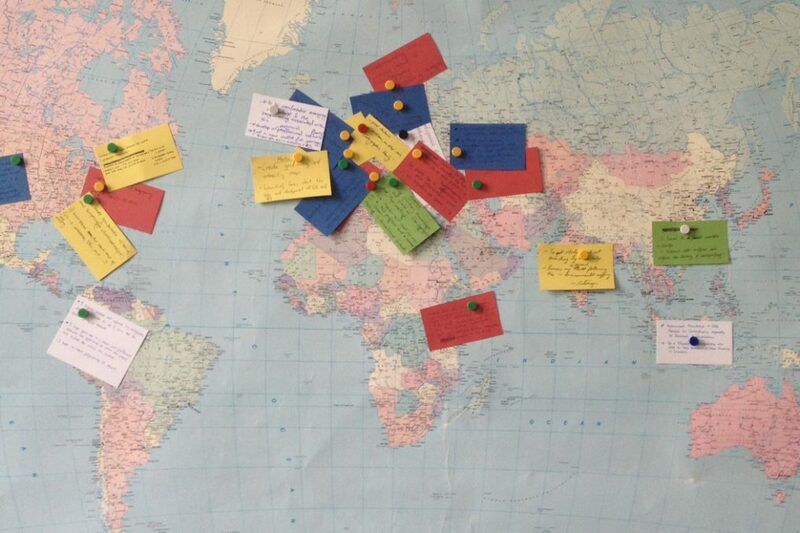 What our students did during their summer ... – Cartography M.Sc. Due to different term dates of the four Cartography M.Sc. universities, the break between the 2nd and the 3rd semester is the first longer break for our students. 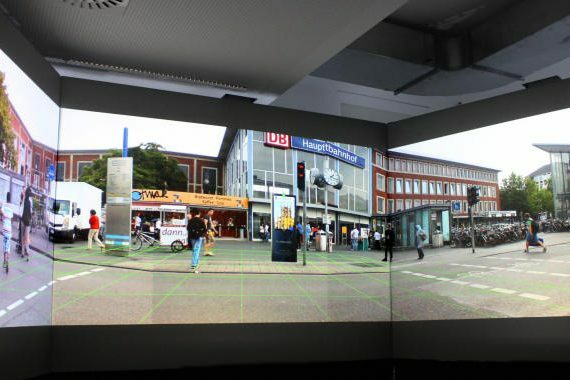 The summer time can be spent on travelling, visiting family and friends or working in internships. 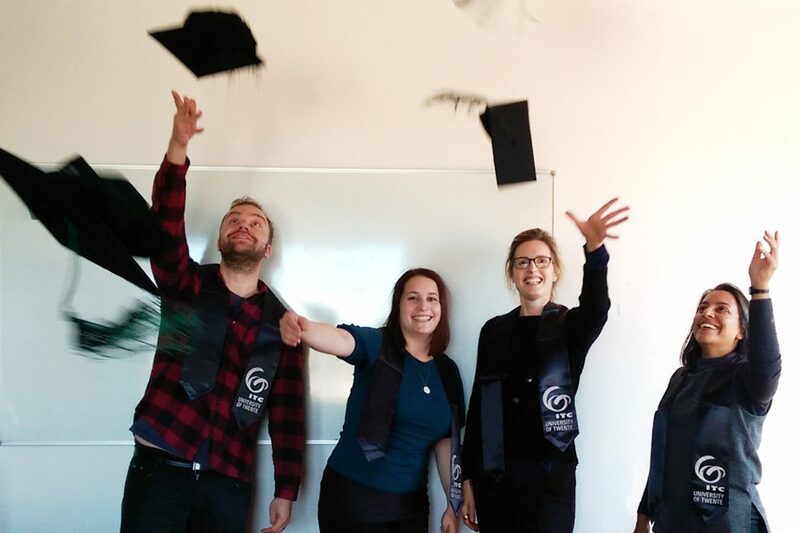 We asked four of our students to share their experiences – a big thanks to all of them! 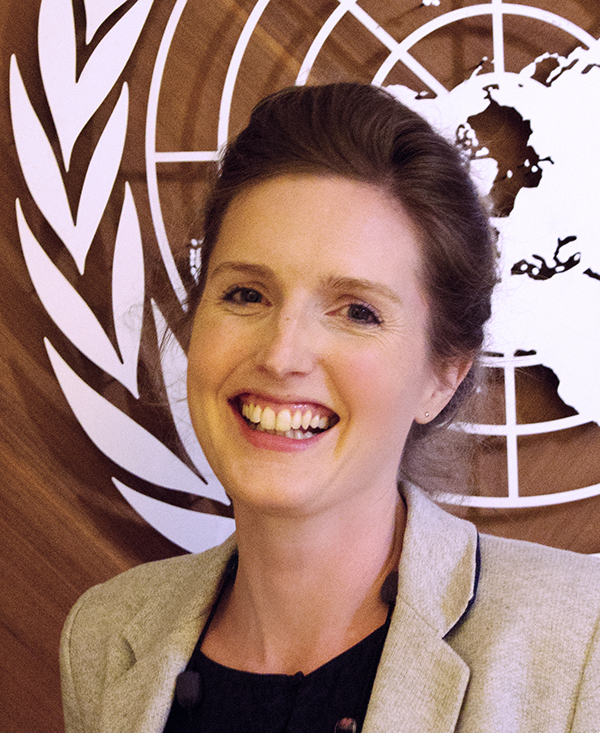 During the summer of 2017 I worked as an intern with the United Nations Office for the Coordination of Humanitarian Affairs in Geneva, Switzerland. My first project was to evaluate components of the INFORM Risk Index for potential relevance in measuring a country’s status towards reaching Sustainable Development Goals, and design maps and graphics to illustrate the results. For the second portion of my internship, I switched roles and worked with the Visual Information Unit and an Information Management Officer based in Nairobi to develop an A0 administrative map style guide and template using data from Somalia as an example. The internship gave me two distinct experiences of creating maps for humanitarian purposes and deepened my interest in this field. This summer I had the great opportunity to do an internship at the United Nations Headquarters in New York City. For three months I was a part of the Geospatial Information Section (formerly Cartographic Section) and got to know their work and responsibilities, and also tried my best to contribute the cartographic knowledge and skills I have acquired during my study program and other former activities. 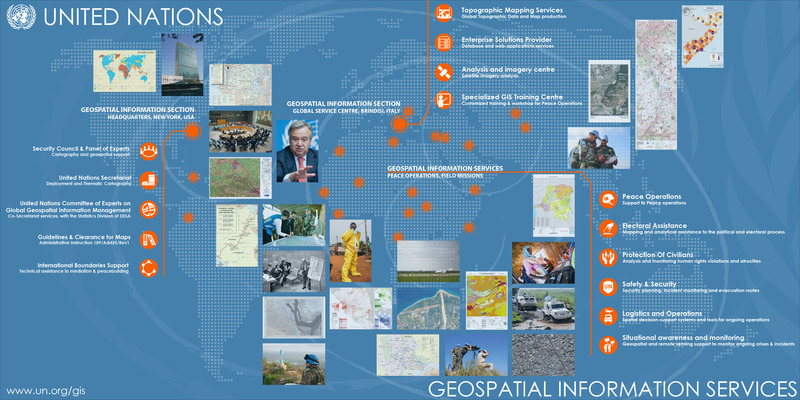 The Geospatial Information Section provides geospatial and cartographic support to the Security Council and supports the UN Secretariat with various outputs, from basemaps to complex geospatial analysis products. My main job was to create maps at the request of the Operations and Crisis Center (UNOCC), for use in briefings and reports for the senior leadership of the UN. Besides designing and finalizing these maps, I was also involved in database management, general design issues and analysis tasks. 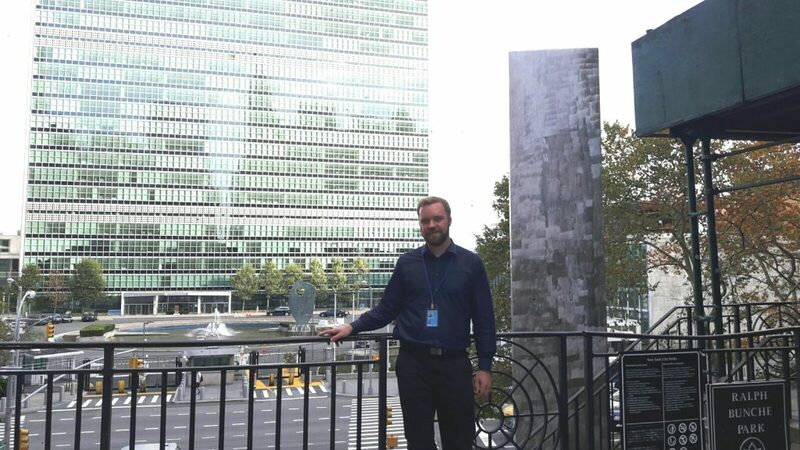 I was lucky to be at the UN HQ right in time to experience the seventh session of the UN Committee of Experts on Global Geospatial Information Management (UN-GGIM) and the General Debate of the 72nd Session of the General Assembly to see how global issues are addressed and discussed. Among my international colleagues in the office, I felt well respected and the knowledge I have attained during my ongoing Masters was appreciated and proved to be valuable to the Section. Overall, the internship once again demonstrated the value of geoinformation and cartography, especially in addressing global issues such as support to UN peacekeeping missions, the Sustainable Development Goals and disaster risk reduction, which require close international cooperation. For anyone interested in doing an internship or working at the United Nations, be it in the Headquarters in New York City with the Geospatial Information Section, or any other UN office worldwide, I recommend checking the websites careers.un.org, unjobs.org and inspira.un.org. Internship offers are regularly published. I grew up in a country with an inherent believe of Darwin’s theory ‘Survival of the fittest’ – but helping the ones who are unable to cope is something I have been doing since my school days. So whenever I get an opportunity, I try to make small initiatives in order to help others as much as I can. This long summer break was something I was looking forward to after the 2 semesters, mainly because I could come back to my family in India and secondly my long pending due of doing something for someone else. In the month of July I was traveling around India meeting friends and family. Afterwards I traveled to Democratic Republic of Congo as a volunteer for a Human Rights NGO (HRLN), based out of New Delhi. The toughest challenge of existing there was the language, anyone barely understood me; no access to internet or phones thus no Google Translate, the mobile network is terrible, tremendous shortage of power supply, poor and under processed water and mosquitoes. But the biggest boon of being there was the opportunity to see the natural pristine beauty and the warm-hearted people. My primary task was to propagate awareness about personal health and sanitation to the people staying in the slums, and also with the help of the team we made a manual navigation map to the nearest safe drinking water stations, public toilets, and waste disposal zones with symbols and signs on the streets, which where copied and distributed among the residents of the slum. For the first 2 weeks we where in Kinshasa (the capital of DRC) following which we went to a nearby refugee camp, where I helped the local medical health staff in some office work. As the staff on duty was changing and they where running short of staff I was acting as the filler, but due to a sudden uproar between militants and the army, all the NGO and aid workers where asked to evacuate, and I had to cut short my trip. By the time I returned to India, the country was extensively affected by floods especially North-East India, and the villages near my hometown Kolkata were also severally affected, primarily because of rainfall, followed by unplanned release of water by the dams. Flood does happen every year in India in different parts, and the government does take initiatives and handles the situation successfully, but this year the damage was extensive and it caused way more havoc than expected. So I joined a friend of mine as a volunteer who runs an NGO himself to help the flood victims in providing temporary shelter and helping them with documentation in order to make there access to government aids easier as well as other governmental documentation for re-issuing there identity cards or helping them find there lost relatives and friends in the flood. I’m truly thankful to the M.Sc. Cartography programme for giving me this opportunity. Without Erasmus Mundus I couldn’t have met so many wonderful people from so many different countries whom I can proudly call as my friends now, beyond everything else they showed me a whole new definition of co-existence. Thanks to each and everyone of you! 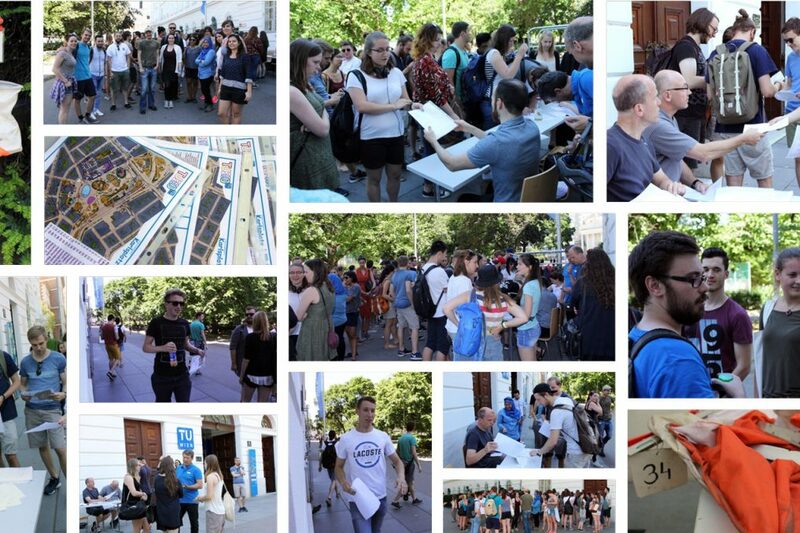 During the summer break, I was also involved with the GeoMundus Network of Erasmus Mundus Association. This is a group of 5 students and alumni of Erasmus Mundus Programs working on building maps for the usage of EMA website. 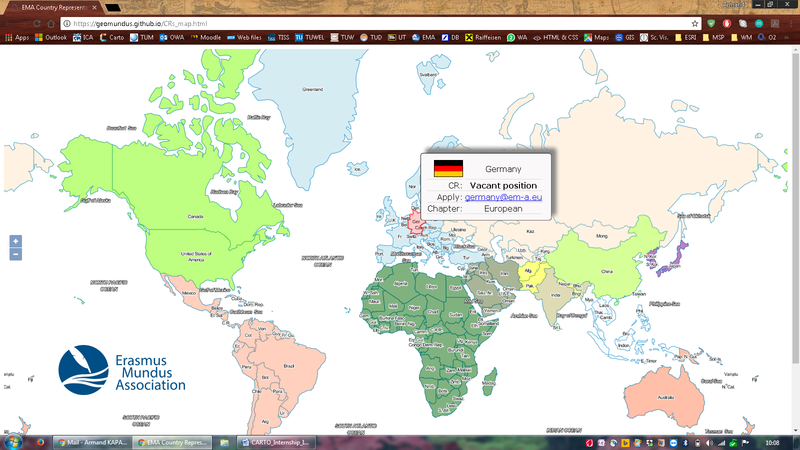 Lately we are working on creating web maps on EMA regional chapters and program representatives. I was involved in a mixed role in this group dealing with data processing and design. 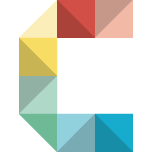 What I like about this experience is the fact that I have the chance to work and practice the skills with open layers, API, JavaSript, geojson, HTML, data management, etc. So far we have completed the data processing and management for the maps and we have created a simple map for the purpose of the data illustration. As it is easy to tell the map is still in initial phase and now we will work mostly on the design and the interface of the map to make it user friendly.